On this date the 7th of November in 1899, our maternal grandfather, John Alvis LaPrarie was born to parents John Louis M. LaPrarie and Azelia Sidonia White in Rapides Parish, Louisiana. John Alvis was previously married to Allice Mae Barker* and possibly to 2 others, Angeline Bordelon** and Lena Roy** before his marriage to Lucy Dee Wright. * They had 3 children, John Louis LaPrarie, James Alvis LaPrarie, and our mom Nelda Grace LaPrarie Adams. Granny Dee (and child) with Papal Bill and customers at Bill’s Cafe. 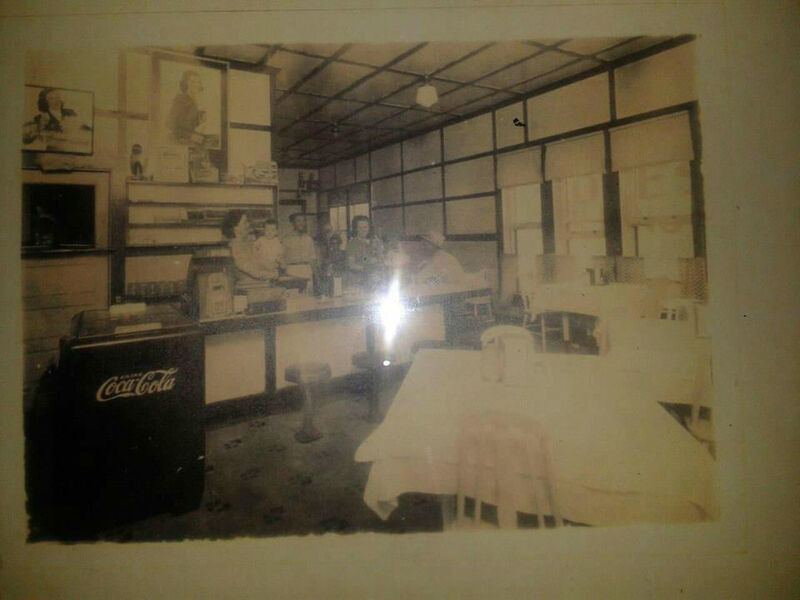 Bill, as he was known as around town, owned and operated Jonesville’s gathering place back in the day called “Bill’s Cafe“. *Source: J. A. LaPrarie and Lucy D. Wright’s Marriage License dated January 30, 1937.